This is very much a personal political memoir. Both the candidate and the candidate's positions are presented in warm hues and the opposition to those views is unfair, unreasonable, and unconscionable. That's how these books are supposed to be written and the formula is well respected. 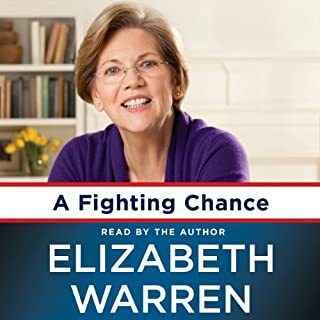 That said, Elizabeth Warren is an engaging and articulate spokesman for a very important cause and she makes some very important points. The best of these is, unfortunately buried in the description of her senatorial campaign: how we spend our money reflects our values. What she implies, but does not articulate, is that tax breaks are equivalent to welfare payments ... they are a government expenditure that reflects the values of those who govern us. Perhaps we should be asking more of them. 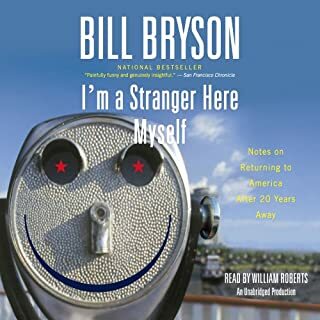 The words have the familiar ring of Bill Bryson's humor, but the sarcastic delivery makes them feel like an overly emotional rant. An intolerable listen. Couldn't get past the first half hour. 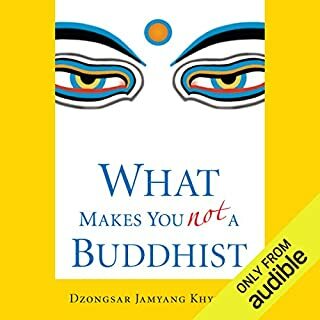 Tibetan Buddhist master Dzongsar Jamyang Khyentse, one of the most creative and innovative lamas teaching today, throws down the gauntlet to the Buddhist world, challenging common misconceptions, stereotypes, and fantasies. With wit and irony, Khysentse urges readers to move beyond the superficial trappings of Buddhism - beyond the romance with beads, incense, or exotic robes - straight to the heart of what the Buddha taught. This book is one part exposition (of the four seals), one part sophistry, and two parts scolding. It would have been better to simply explain the seals and their implications for understanding reality and for engaging that reality in our own lives. But no, we are continually expected to share the author’s distain for things like face creams. Although he asserts that Buddhists do not proselytize, this volume seems dedicated to showing us the error of our ways. It would have been better to explain Buddhism. Do we have free will or are we merely complex stimulus response devices. Can we know? Does it matter? I believe that I have some control over the outcome of my life. I make choices and those choices have consequences. My choices are strongly influenced by my heredity, the conditions under which my brain developed, and the accumulated experiences of my life. Nonetheless, I believe that I exercise some measure of free will in my conscious decision making. Sam Harris asserts that this is an illusion. His argument rests on the assumption of a material universe wholly governed by natural laws dictating the interactions of the matter in that universe. That assumption is unaltered by the existence of energy as an alternative form of matter or by the possibility of multiverses. He tells us that we live in a clock-work universe where future states arise from present states. The randomness of quantum mechanics may create some uncertainty about those future states, but it does not provide freedom of choice to the collection of atoms of which we consist. It is an interesting argument, but it is irrelevant. Free will is not a thing; it is a construct. We generally think of free will as the ability to act without certain constraints. 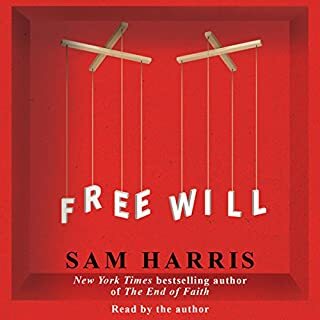 By treating free will as the ability to act without any constraints, Harris easily defines it away. The problem with using science to make a philosophical argument is that there is much that science cannot yet tell us. Indeed, there may be much that science will never be able to tell us. What makes science useful is that it identifies the “laws” that predict the behavior of matter and energy. Those predictions help us to harness matter an energy to do useful things. We need to remember that those laws are not in and of themselves an objective reality; they are simply models that help us navigate the universe in which we live. In the same sense, free will is a behavioral model that helps us understand the extent to which we can reasonably hold another creature. The important question is not whether or not we have free will, but rather how free our will really is. Read in that light, Harris makes some very important points. We sometimes forget how much of our lives are determined by factors out of our control. By extension, we forget how much of other people’s lives are determined by factors out of their control. Both nature and nurture conspire to mold us into what we are. Perhaps we could take a little less credit for how well things have turned out for us and assign a little less blame to those who have not managed as well. Perhaps the inflammatory argument that our cherished free will is an illusion should be read an argument for compassion. Here is the behind-the-scenes story of how the United States forged its wartime alliance with Britain, told from the perspective of three key American players in London: Edward R. Murrow, Averell Harriman, and John Gilbert Winant. Drawing from a variety of primary sources, Olson skillfully depicts the dramatic personal journeys of these men who, determined to save Britain from Hitler, helped convince a cautious Franklin Roosevelt and a reluctant American public to support the British at a critical time. Our heroes are not always heroic. This may not be news, but seems to be the theme of this particular history. 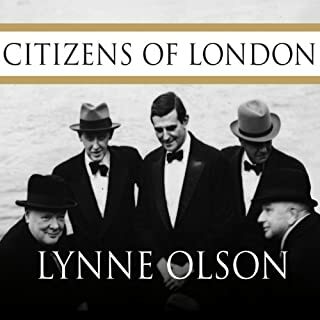 Purportedly a tale of three Americans who lived in London during the Battle of Britain and through the war, Citizens of London is really a larger story of how Britain came to find herself overshadowed by the ally she had so ardently courted. Few of the participants are treated kindly. Among the three primary figures, one came from poverty and the others from money. Averell Harriman was the wealthiest. The son of railroad baron E. H. Harriman, he is characterized as having spent his early years growing his fortune and the war years using it to gain access to powerful people. It is difficult to believe that someone as shallow as the Harriman depicted here could grow into the statesman who later served with such distinction. Born into a prosperous family, John G. Winant spent his entire life in public service. Harriman spent WW I building ships; Winant served as a fighter pilot. The consummate progressive, Winant left the Republican party to serve Roosevelt in 1935. While serving as Ambassador to England from 1941 to 1946, he eschewed the perquisites of his position and shared the hardships of the English people during the Battle of Britain. The author bestows no unkind word on Mr. Winant. Edward R. Murrow fares almost as well, though his journalistic objectivity is often impugned and his affair with Pamela Churchill receives inordinate attention. Churchill and Roosevelt are characterized as egotists more interested in dominating the conversation than in communicating. Churchill comes off a bit more positively, if only because he swallowed his pride to court Roosevelt - the leader of the only country capable of saving England from the Nazis. United States reluctance to enter the war is examined from the British perspective of desperately needing support, rather than from the American perspective of not wishing to enter yet another conflict arising from historical rivalries of which it was not a party. Roosevelt seems to be criticized both for wanting to meddle in European affairs (as in discussions of Belgian ethnic divisions) and not wanting to meddle (as in delaying discussions about Germany’s post-war future). Eisenhower is presented as a hayseed whose only positive virtue is his insistence on a unified command structure within the Allied Forces. Although the author eventually acknowledges the development of warm feelings between the British and the Americans who were staged there prior to Normandy, much more time is spent describing their efforts to keep apart from the local population and their relatively higher standard of living. Americans back home are also criticized for enjoying a higher standard of living than the populations of war-torn Europe. This is an interesting book which reminds us that the people who lead us are, like the rest of us, neither whole heroic nor wholly ignoble. It also reminds us that important decisions are often made with incomplete information by people who are under considerable stress. For those who enjoy biography, Citizens of London is an interesting read. For those seeking a deeper understanding of history, I would recommend skepticism. 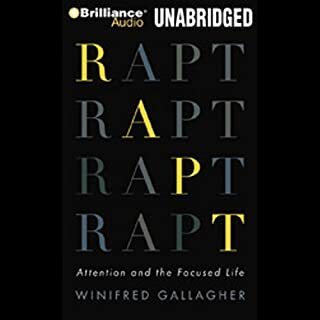 In Rapt, acclaimed behavioral science writer Winifred Gallagher makes the argument that the quality of your life largely depends on what you choose to pay attention to and how you choose to do it. Gallagher grapples with provocative questions - Can we train our focus? What's different about the way creative people pay attention? Why do we often zero in on the wrong factors when making big decisions? - driving us to reconsider what we think we know about attention. Who we are and how are is largely shaped by where we focus, where we invest our attention. Although our minds are naturally (and often strongly) drawn to the dangerous and the novel, we have the ability to influence our focus. With or without intentional choice, attending to one aspect of our physical and mental environment causes us to ignore others. Rather than making a coherent case for where we should place our attention under what circumstances and providing techniques for controlling that attention, the author provides a journalist’s survey of the scientific work being done in the area. A sprinkling of nineteenth century philosophy provides some context, but we are left with little more than the general idea that attending to the right things will make us happier. Gurus, Disciples, and Saints! Oh, My! 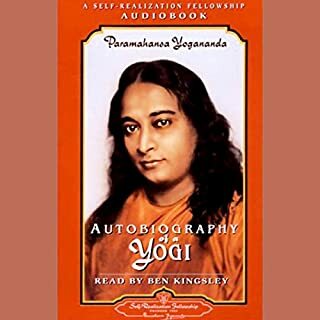 Paramahansa Yogananda’s book is an excellent and very approachable introduction to Hindu mysticism. Having both read the kindle edition and listened to the audio version, I highly recommend Ben Kingsley’s reading of this classic story. That said, this autobiography is not a literary or historical work; it is a scriptural work. As such, it’s mission is to persuade the reader regarding the nature of ultimate reality and how the reader might best approach that reality. However well written, it must be subjected to the same scrutiny as any persuasive writing. 1. Like other yogis, Yogananda presents his religious views as “science,” which they are not. There may be some scientific evidence that meditation contributes to a positive outlook (this has certainly been my experience), but there is none to substantiate the existence of the subtle body or the astral plane of existence. 2. The effort to present Christianity as a subset of the Hindu religion is strained. Are we really to demote Jesus to the status of a prophet and accept Yogananda equivalent? 3. The accounts of of siddhas (saints) and their siddhis (paranormal powers) would have us believe that there were saints in every neighborhood of Calcutta (and by extension in India). These are not ancient reports, and if such saints and powers were as frequent as the story implies, we ought certainly to have had numerous and continuing reports from other sources. 4. The detailed description of the astral planet to which Sri Yukteswar ascended is not consistent with historical yogic writings. The book is certainly worth hearing and the philosophical musings about universal brotherhood and non-violence should be taken seriously, but this reader requires a bit more evidence before embracing Yogananda’s view of reality. "More years ago than I care to reckon up, I met Richard Feynman." 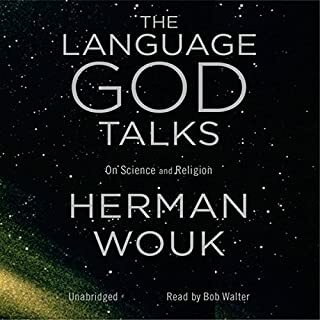 So begins The Language God Talks, Herman Wouk's gem on navigating the divide between science and religion. In one rich, compact volume, Wouk draws on stories from his life as well as on key events from the 20th century to address the eternal questions of why we are here, what purpose faith serves, and how scientific fact fits into the picture. A life-long devout Jew, Herman Wouk seeks to reconcile the unreconcilable. 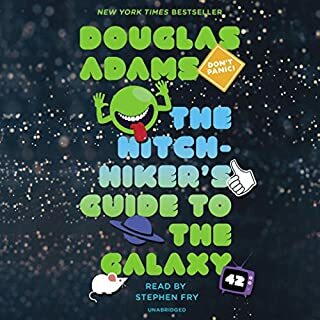 His narrative is anchored by three meetings with Richard Feynman wherein the physicist becomes increasingly interested in Wouk’s point of view. Wouk’s Feynman is not a consistent with the descriptions of others who knew him and seems to accept Wouk’s assertions without the questions one would expect a scientist to ask. As for his own faith, Wouk seems more to embrace the traditions of his upbringing and heritage than to articulate a certainty in the existence of the God engaged in the lives of his creations. Savoring his major works and the resulting adulation, Wouk too often drifts to topics unrelated to either science or religion. He is a good writer and his ramblings provide a pleasant, though somewhat incoherent, diversion. A fun listen that requires a greater suspension of disbelief than most "science fiction." Definitely a good road trip choice. This superbly told story brings to life one of the most remarkable rulers––and men––in all of history and conveys the drama of his life and world. The Russia of Peter's birth was very different from the Russia his energy, genius, and ruthlessness shaped. Crowned co-Tsar as a child of ten, after witnessing bloody uprisings in the streets of Moscow, he would grow up propelled by an unquenchable curiosity, everywhere looking, asking, tinkering, and learning, fired by Western ideas. Robert K. Massie more than delivers on the promising title of this sweeping book. Massie presents an intense man with the vision, the autocratic means, and the personal perseverance to pull his nation into the modern world. 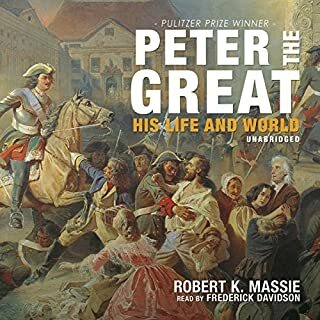 Fascinating detours include descriptions of the histories of the powers with which Peter the Great interacts, summaries of the international issues that concerned them, and descriptions of the social and economic conditions of the day. Presented from the perspective of Eastern Europe, the early eighteenth century becomes something more than British and French concern over the Spanish succession. The end of this lengthy exposition left me longing for more. The excellence of Massie?? ?s prose was unfortunately undermined by Frederick Davidson?? ?s pompous reading. I would have expected a professional narrator to moderate his non-standard pronunciation of words like clerk (not clark) and issue (not issssssue). More egregiously, Davidson seems wholly incapable of providing character voices for quotations: even Peter the Great is rendered in a child-like, even effeminate, falsetto.